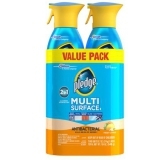 Free 2-pack of Pledge Multi Surface Cleaner - TopCashBack has another great freebie for new members who have not gotten a freebie before! This time, you can get a 2-pack of Pledge Multi Surface cleaner for FREE! View Your Old Highschool Yearbook Online Now - Browse the largest online collection of High School Yearbooks now! View photos and profiles, communicate and see where everyone is now. There's even a reunion tool for planning your next get together. Relive your memories today. 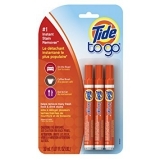 Free Tide to Go Stick - Join TopCashBack as a new member and you can get a free Tide to Go pen! Make sure you follow the instructions to get your freebie rebate. 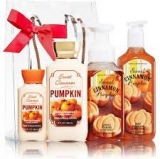 This is a $2.94 value freebie! 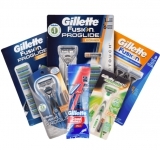 Free Gillette Fusion Razors - Submit your request for free Gillette Fusion razors for a short time. Replaceable cartridges are also available to request. Free Shampoo Samples - Garnier, Pantene & More - Get Free Shampoo and Conditioner samples from top brands like Garnier, Pantene, Herbal Essences and more. Limited time, claim your freebie now. See if You Qualify for Debt Relief - Free Estimate! - Find out if you qualify and see how quickly you can get out of debt with relief help. Plus, you'll get two free books to help you start saving more immediately!